A comprehensive set of 1/2'' inch shallow socket for everyday use either by mechanics, technicians or for the diy enthusiast. 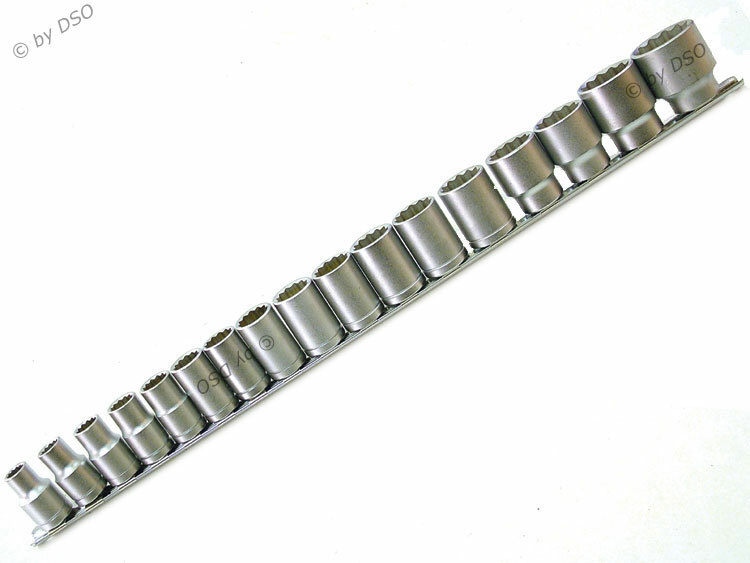 Made from Chrome vanadium steel with a satin finish. Being double hex (12 sided) gives twice the amount of positions you have to get the sockets on a nuts or bolts be it 6 or 12 sides. The rail is made from tempered highly polished stainless steel. The clips are spring tensioned so don't fall off the the rail when socket are removed.